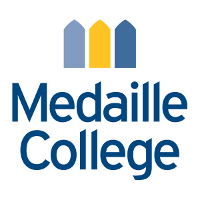 Medaille College seeks to hire faculty with a demonstrated commitment to excellent in teaching, student success, and civic engagement; and who understand the educational benefits of ethnic and racial diversity in the campus community. The candidate will demonstrate openness to social justice, multicultural counseling, and interest in working with diverse populations. Medaille is a growing, private, four-year, liberal arts-based college in Buffalo, New York, serving the educational needs of a diverse student body in Western New York and Southern Ontario through a variety of undergraduate and graduate programs (www.medaille.edu). Medaille College is committed to recruiting, supporting, and retaining diverse faculty who are supportive of our mission. A letter of application including teaching philosophy, curriculum vitae, graduate transcripts, and three recent letters of recommendation should be electronically submitted to Barbara Bilotta, Director of Human Resources, Medaille College, 18 Agassiz Circle, Buffalo, NY 14214. Please refer to www.medaille.edu/jobs to apply. Review of applications will continue until position is filled. No phone calls please.